My colleague Tim Noah and many others are rightly lampooning the aborted effort to resuscitate Jeremiah Wright for another go-round. But it’s worth noting that this trial balloon did accomplish something for Republicans, intended or not—it drew scrutiny away from the anti-Obama attack ad that is running, a minute-long broadside from Crossroads GPS, the group co-founded by Karl Rove, that went up this week in all the big swing states with a $25 million buy. Folks, that is a lot of dough, even in this day and age. And who’s behind that money? Well, we don’t know, because Crossroads GPS doesn’t have to disclose its donors. Its sister group American Crossroads does have to disclose its donors, because it is explicitly geared toward getting candidates elected. Whereas Crossroads GPS (“Grassroots Policy Strategies”) is a 501(c)4 nonprofit public advocacy group whose primary purpose is not promoting candidates but promoting “issues.” Got that? Take a look at the ad and I’m sure you can see the distinction. After all, it’s only asking viewers to “tell President Obama to cut the deficit and support the New Majority Agenda.” No hint of the election at all! What can we say about the ad itself? Well, it’s not about Jeremiah Wright. It’s about the “broken promises” of Obama’s first term—totally fair game. It is also riddled with mistruths—it implies that people making under $250,000 have been hit by 18 new taxes (not true—in fact, the average American has seen his taxes go down under Obama, thanks to the payroll tax cut); it warns that people will lose their health insurance under Obamacare and be “forced into a government pool.” I’m not sure what that even refers to—maybe the exchanges where people without employer insurance will be able to choose among private insurance plans? Oh, and it hits Obama for not doing enough to stem the foreclosure crisis—a fair point, though curious coming from the side supporting Mitt Romney, who has argued for letting the housing market simply bottom out. But these are mere reality-based quibbles. The real problem with the ad is that we have no idea who is paying for it. None. For all the talk of the candidate SuperPACs that dominated the Republican primaries, at least in those cases we knew which grandiose moneybags were writing the checks. Not here. And you can be sure that it will be 501(c)4 groups that will be doing far more of the spending in the months ahead—already, Crossroads GPS is far outraising its disclosure-bound sibling. There’ve been rumblings about the IRS or FEC taking a harder look at whether groups like Crossroads GPS are staying within the gray area of the law, but I wouldn’t bet on action before November. Why does this matter? What do we really gain by knowing which plutocrats or companies are behind the ads? Well, as I noted last night, disclosure obviously allows us to take a closer look at the motives and records of the donors. But here’s a less obvious problem with undisclosed giving that the campaign finance watchdogs like to emphasize—it may be secret on the outside, but it’s very much not secret on the inside. That is, the people running Crossroads GPS know not only who is giving to them, but who has declined to give to them, and given how close the ties are between the group and Republicans on Capitol Hill (and Team Romney), that information will make its way around. (Crossroads co-founder Ed Gillespie is now advising the Romney campaign.) Potential donors who are approached for cash have to worry that a “no” will get wind its way through Washington, where it might cause problems for them down the line. What if your big corporate rival is giving to the group and you’re not? Will Congress or the future administration tilt the scales against you at some future point? But you can’t even know for sure if your rival is giving, because it’s not disclosed. There’s no way around it—the 501(c)4 ask gets awfully close to looking like a shakedown. And it starts looking an awful lot like the way things were before the post-Watergate reforms, with men all but carrying large sacks of money around Washington. This is what is bearing down on the Obama campaign and other Democrats with far more force than any un-aired Jeremiah Wright clip. But no one’s really talking about Crossroads GPS—they’re instead talking about an ad that will, apparently, never run. 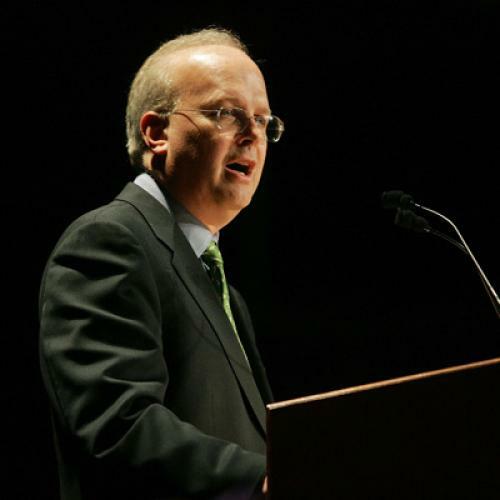 Which is just fine with Karl Rove.